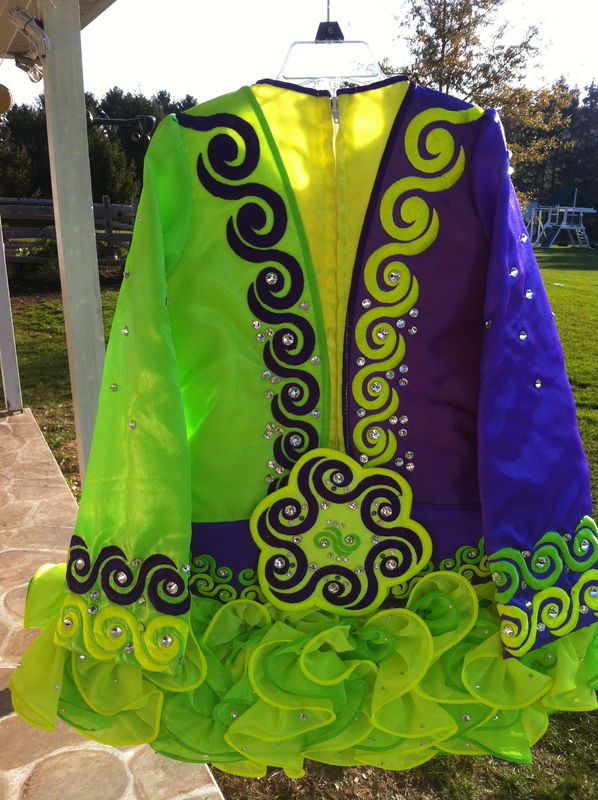 This one year old Gavin champion dress made from twinkle satin and organza really stands out beautifully with vibrant colors and loads of Swarovski crystals. 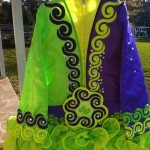 The skirt was layered vertically which gives it amazing bounce on stage; there is also lime green tulle underneath. We receive many compliments! We’ve worn it with blonde and brown wigs and it would look great with red as well. 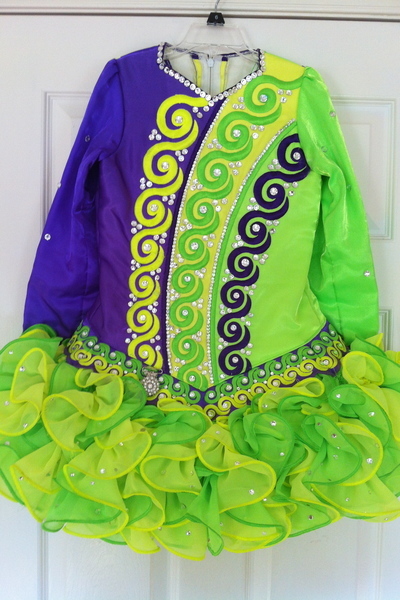 Suitable for a 9 – slim 11 year old; daughter was a size 10/slim 12 and we have quickly outgrown this dress….sadly. Its been kept in excellent condition. Stored flat in smoke free home; free of odor and stains. I would be glad to send more pictures if interested. 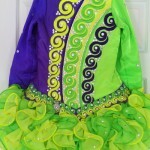 includes custom crown and bloomers. Never been altered; room for let out/down. Asking Price: $US750. Shipping costs are: Are not included in the asking price. Will accept returns and refund the cost of the dress, buyer to pay all shipping costs.